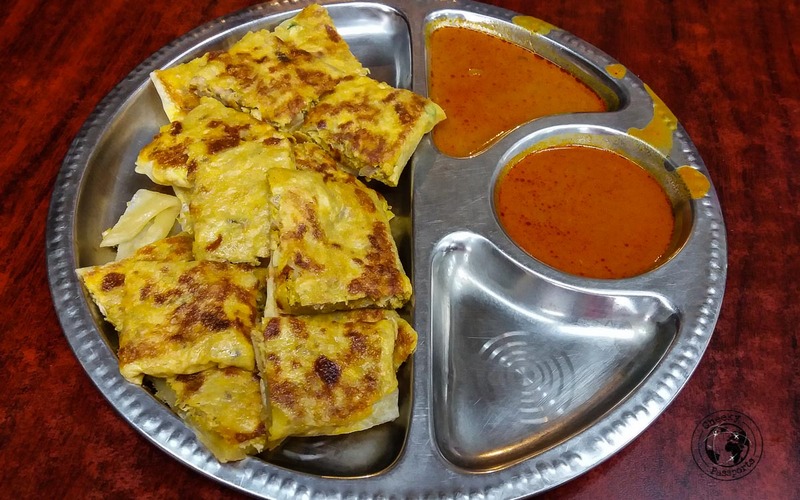 Malaysia is a country with a very diverse and sometimes eclectic culture incorporating various aspects of Malay, Chinese and Hindu heritage which is very much reflected in its food. 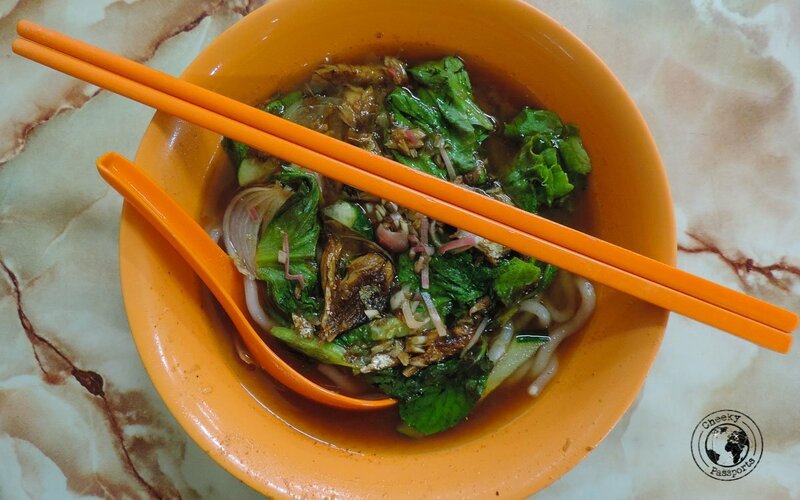 It is very easy to eat well even when traveling on a restricted budget in Malaysia – the street food in Malaysia is cheap, fresh and best of all, delicious. 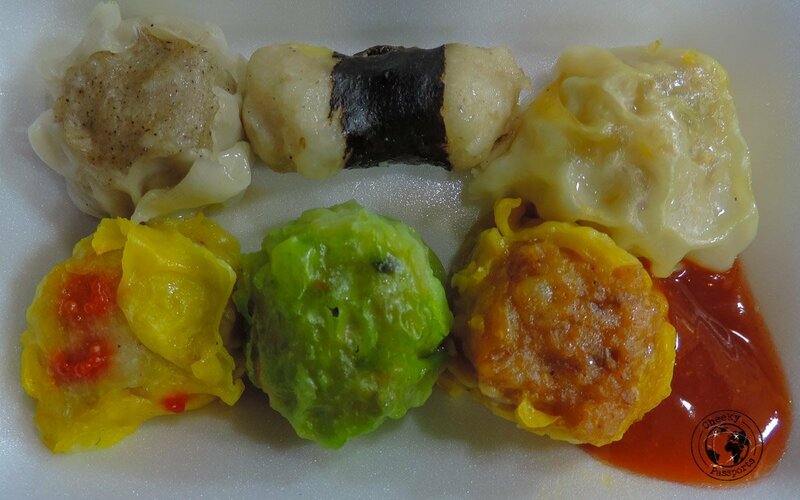 When compared to Western fast food, the street food in Malaysia tends to be rather healthy. 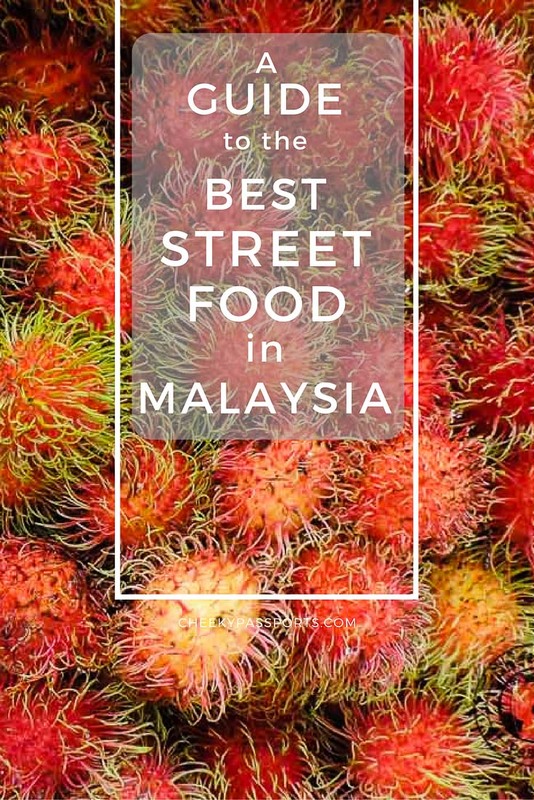 The vast and diverse choices of food can all be rather confusing so we’ve created this guide to help you navigate through the best street food in Malaysia. Street food in Malaysia is available from the many hawkers and carts on the streets. 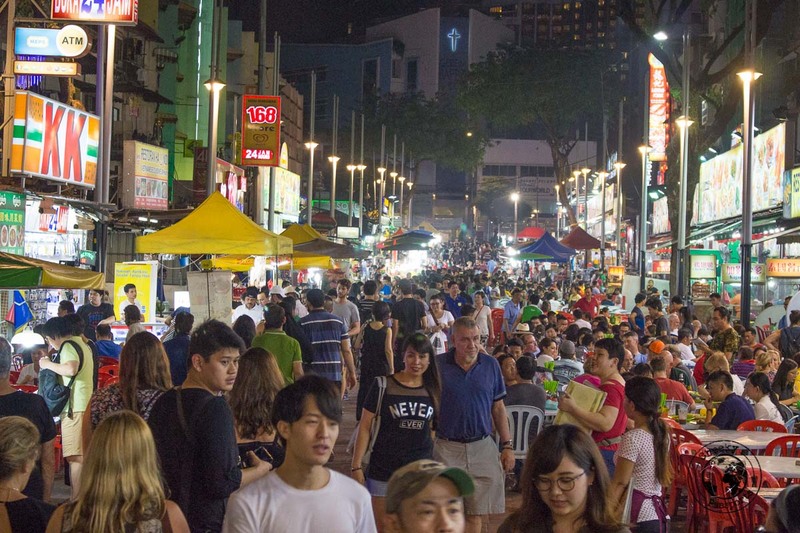 Kuala Lumpur’s famous Jalan Alor night market is dedicated solely to hawker food stalls and little restaurants serving similar fare. Alternatively, street food in Malaysia can be purchased from hawker food courts such as Red Garden Paradise in Penang where you sit on a plastic table, and choose your preferred dish (or dishes) from the 40 or so different stalls set in the court to go with your beer. All this is accompanied by live performances by Malaysian singers who blare out loud American country & western tunes whilst you drink and dine to your heart’s content – don’t sit to close to stage unless you like loud music though! Laksa is a spicy soup consisting of noodles with chicken, prawn or fish and is quite possibly Michelle’s favourite street food in Malaysia. 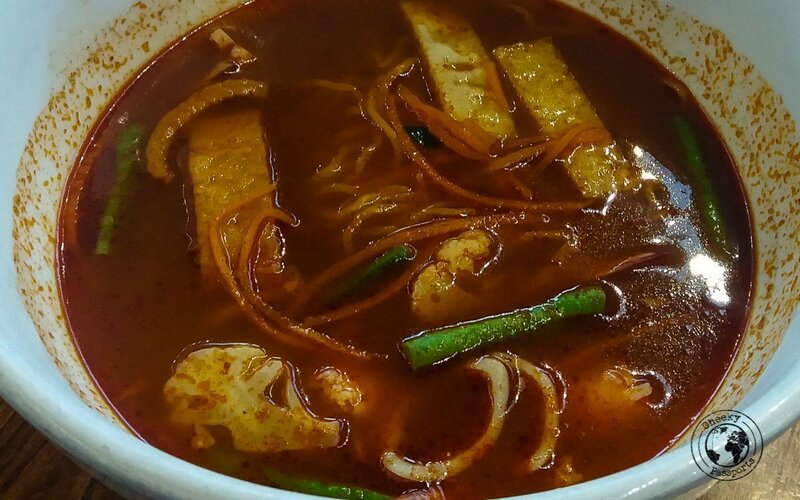 Assam laksa is typical of Penang and tastes a little sour when compared to the sweeter but spicier curry laksa found in Melaka. Similar to the soup described above but a little sweeter and a lot spicier. 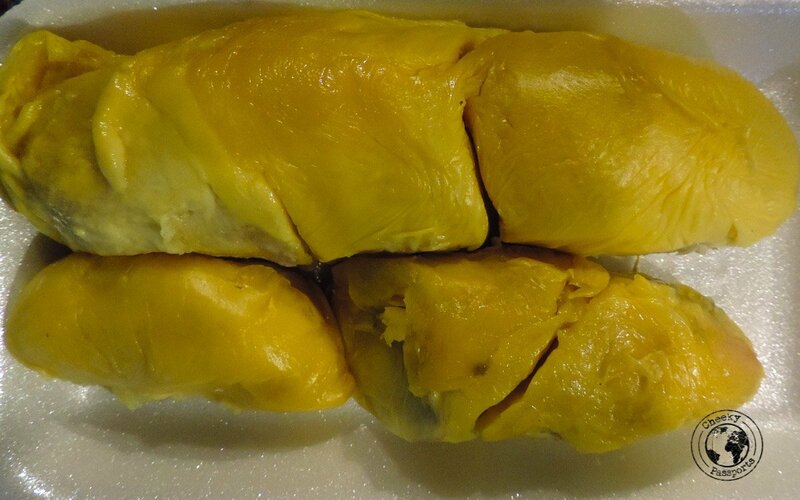 It is also heavier since it contains coconut milk and sometimes shrimp or cockles and fried bean curd. 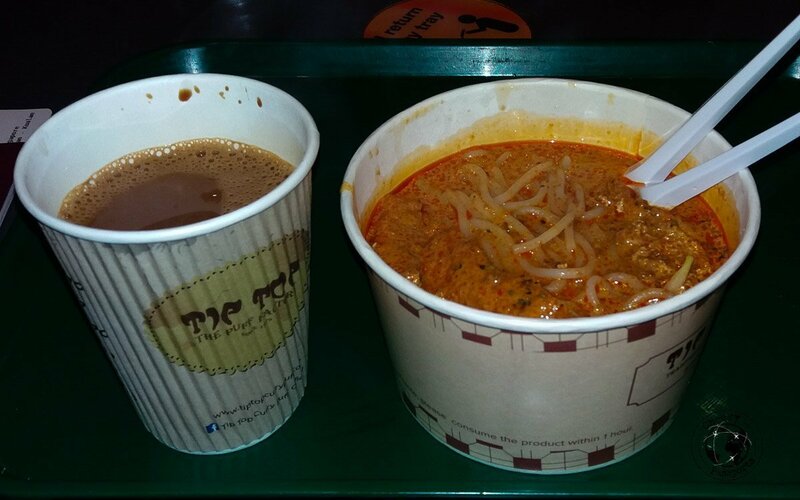 Curry Laksa is also popular in Singapore and in Brunei where it is commonly eaten for lunch or even breakfast. 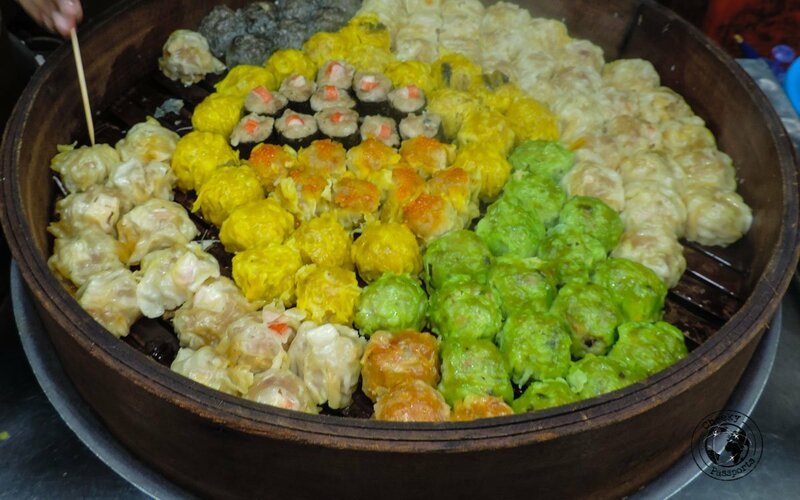 Of course, dim sum are originally from China but with about 20% of Malaysians being of Chinese descent, it comes as no surprise that dim sum are a very common street food in Malaysia. There are so many flavours to choose from and, at around 1RM each, they’re a great, cheap snack to eat on the go! 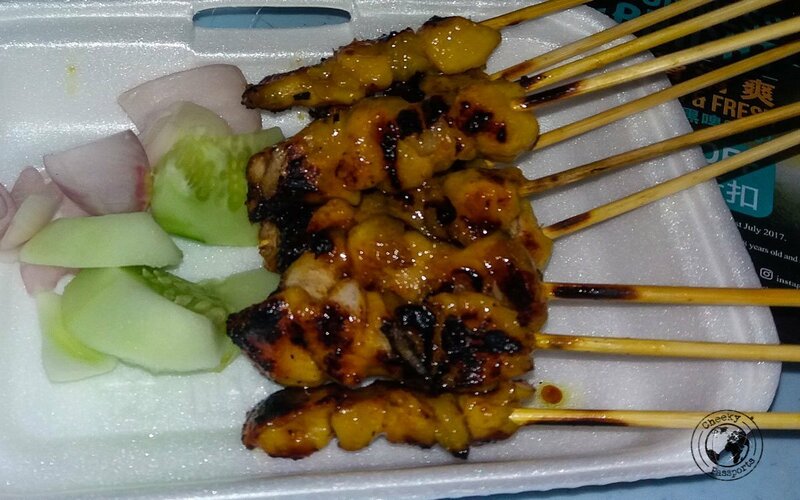 Originally from Indonesia, sate skewers have become a firm favourite in Malaysia, with stalls dedicated exclusively to grilling skewered meats and serving them with the ever-popular peanut satay sauce. 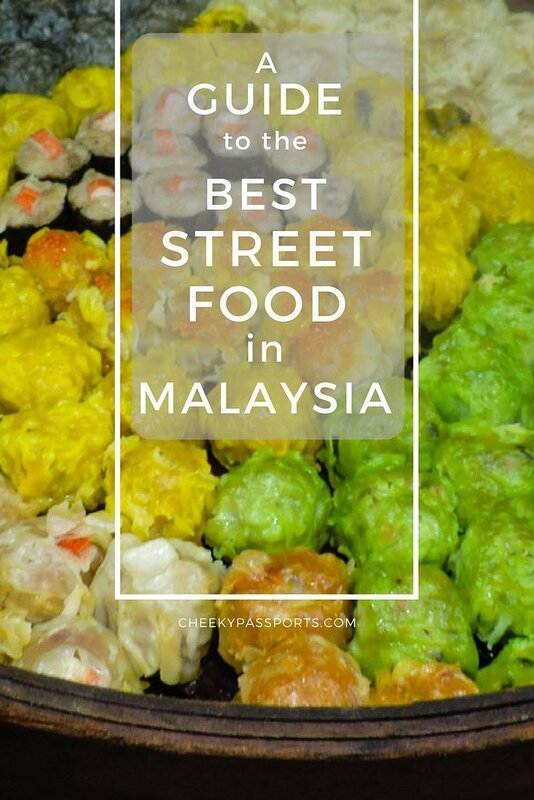 One of our favourite street foods in Malaysia! 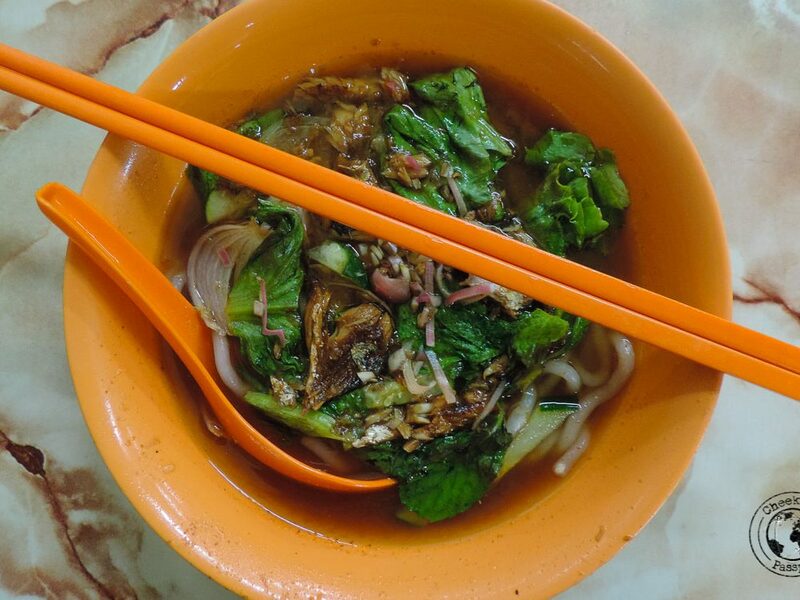 The classic Thai soup packed with hot chilli and lemongrass is easy to find on Malaysia’s streets. Strangely enough we’ve never had Tom Yum in Thailand so we cannot compare authenticity, but all the Malaysian versions that we sampled were intensely flavoured and packed a good punch! Despite the watering eyes & nose and heartburn it induced, Michelle ordered Tom Yum at least every other day! 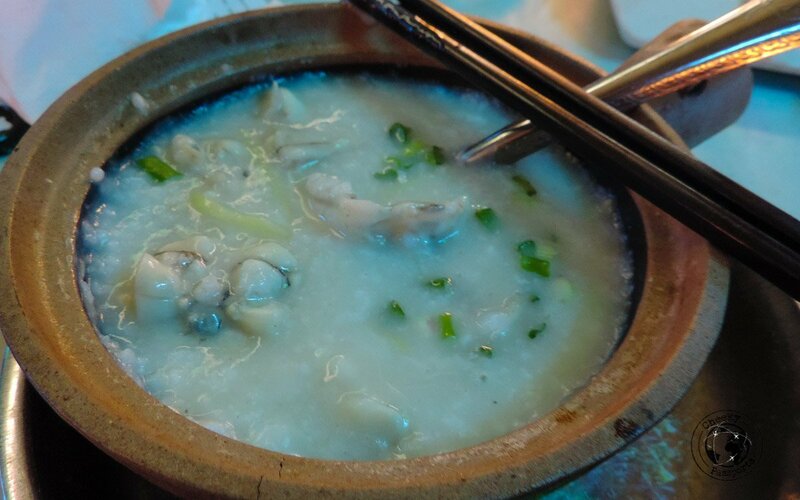 We had to try this, because…..you know… frog porridge….whaaaaaat???? It honestly tasted as bad as it sounds and we cannot recommend it to anyone. At all. 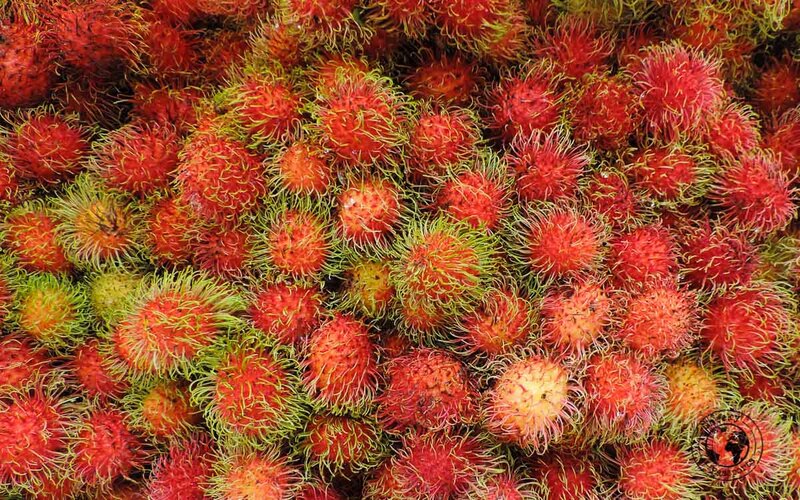 Love it or hate it, the creamy fruit is an omnipresent street food in Malaysia, and there’s no getting away from its smell, often described as being similar to that of rotting onions! Although we don’t hate it (Nikki isn’t too sure about this part), we feel that is best eaten in small doses! Also from China, this is an egg that has been preserved for several weeks or months so that the yolk has turned green and the white part has become brown. We were very hesitant to try this, especially given that egg is the only food that Michelle really dislikes. 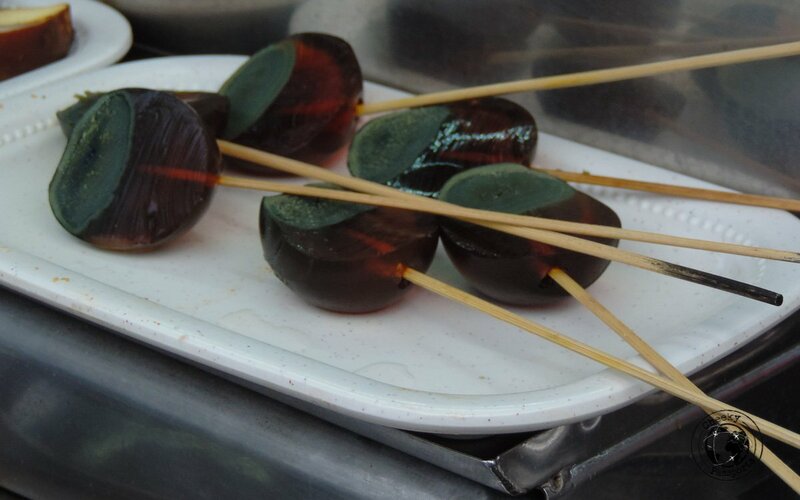 We discovered that century egg tastes just like regular hard-boiled egg but with a more intense flavour and a slightly unpleasant aftertaste. Not really our favourite street food in Malaysia! Nasi Goreng is fried rice with anything mixed in really. Probably the cheapest and most common street food in Malaysia! 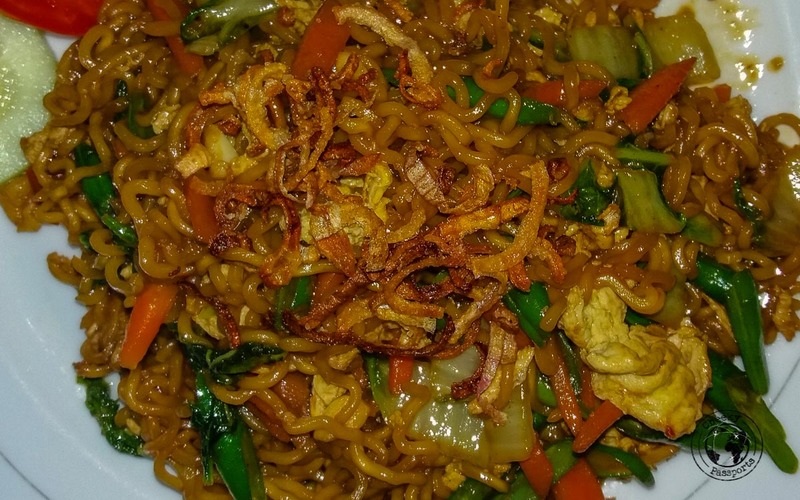 Mee Goreng is the noodle version of Nasi Goreng. These are easily two of the most affordable dishes not only in Malaysia, but in most of Southeast Asia! Considered to be the national dish in Malaysia, this consists of rice cooked in coconut milk, sambal, anchovies, peanuts and boiled egg. 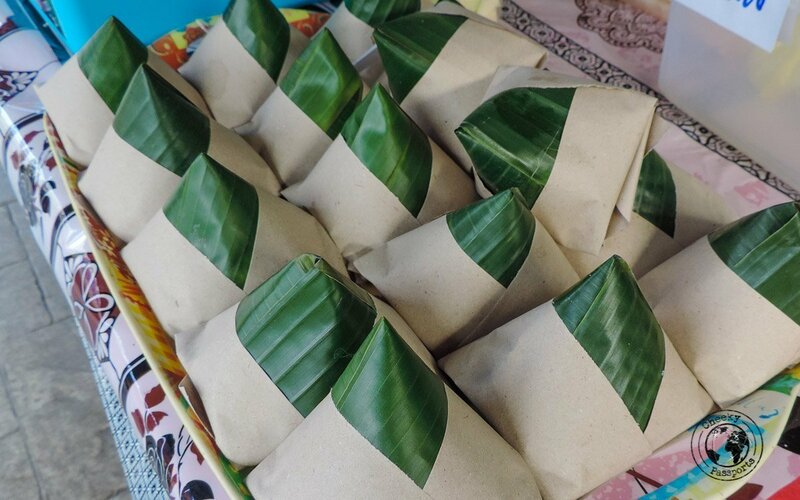 All the ingredients are traditionally wrapped up in banana leaf and typically cost around 1-2RM/piece. 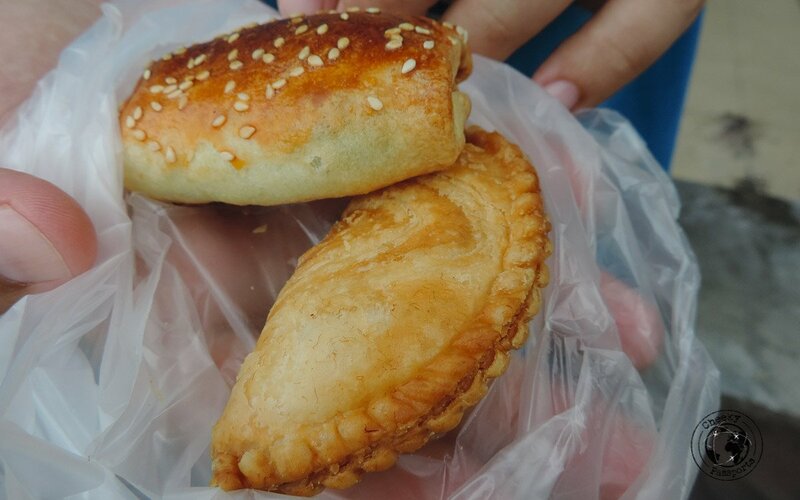 One of our favourite street food in Malaysia! We absolutely love rending! 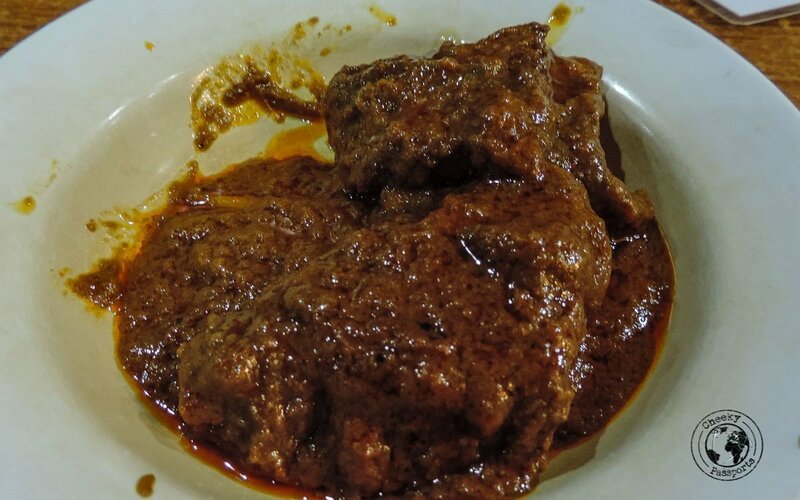 Originally from Indonesia, meat is cooked in coconut milk and a mixture of ground spices resulting in a very tender, fragrant and tasty dish! 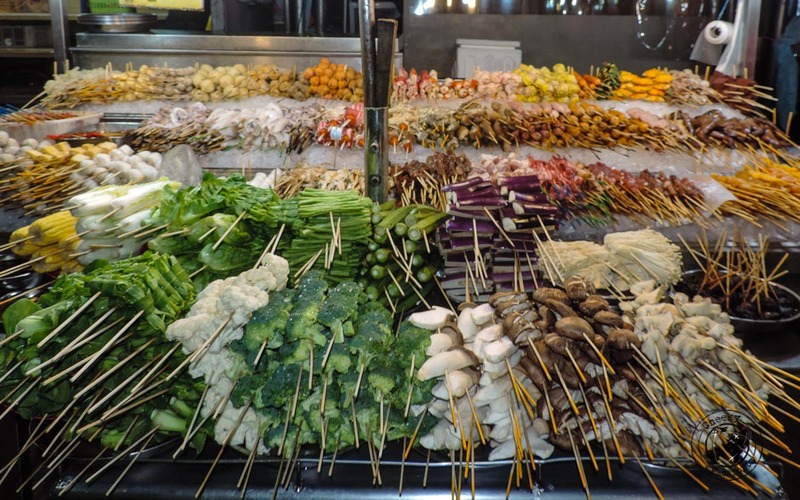 Everything can be served on a stick in Malaysia! 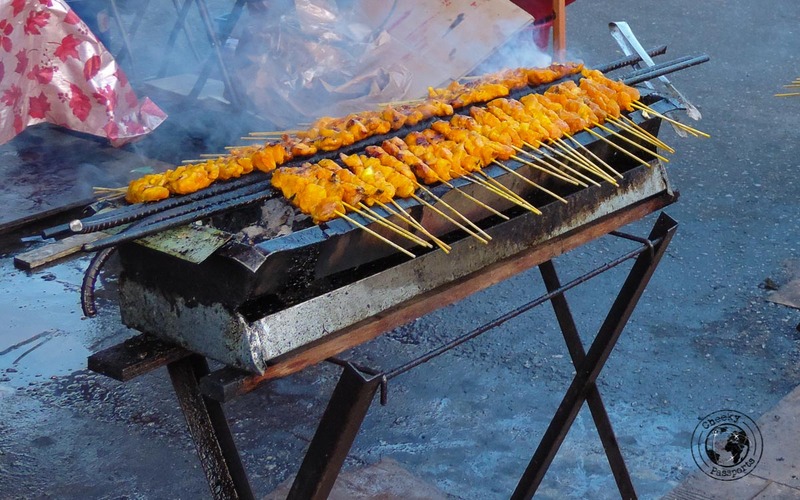 Items are grilled, boiled or deep-fried – the hawker will advise accordingly! 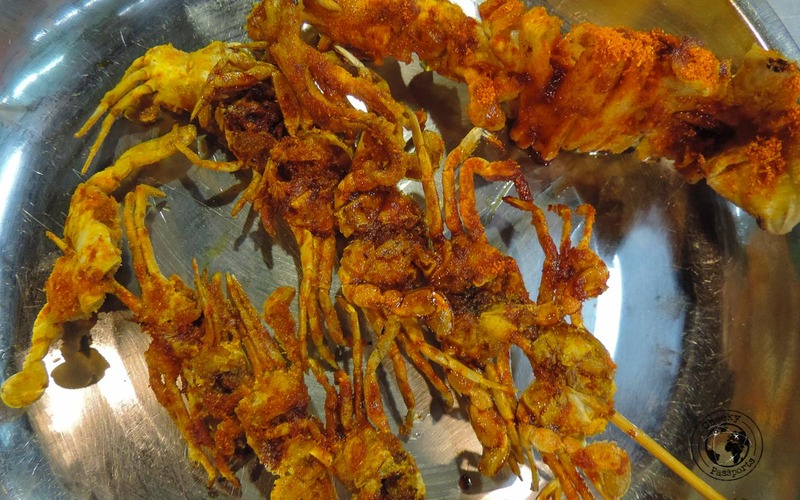 Here are some deep-fried crabs on a stick! Stalls sell fruit in a variety of ways – whole, peeled, juiced – you choose! Dragonfruit, mango, rambutan and our favourite jackfruit – they can all be served ready to eat in a tray or cup. 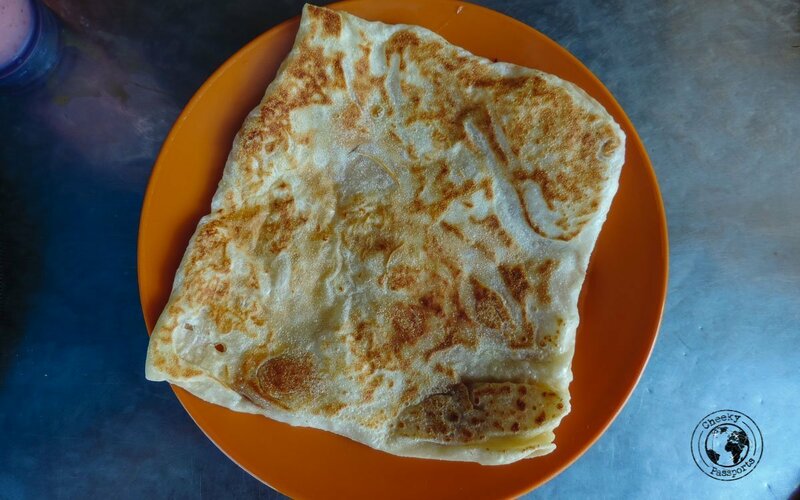 This popular street food in Malaysia is originally Arabic and can be found in Indian Muslim restaurants and stalls all around the country. It is typically a meat or vegetable stuffed omelette or pancake and is served with a dipping curry. Pork floss biscuit, Lotus salted egg tart…. the names alone kindled our curiosity. We found, we tried and we liked! Also an Indonesian import, this cracker is topped with peanuts. The cracker itself may be made with coconut milk and herbs and then deep fried in coconut oil. 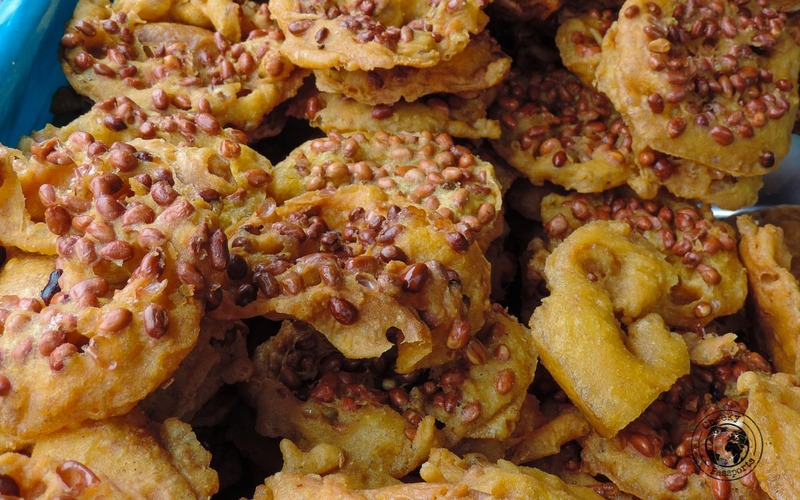 A great snack to munch on if you’re on the go and a very easy-to-find street food in Malaysia! 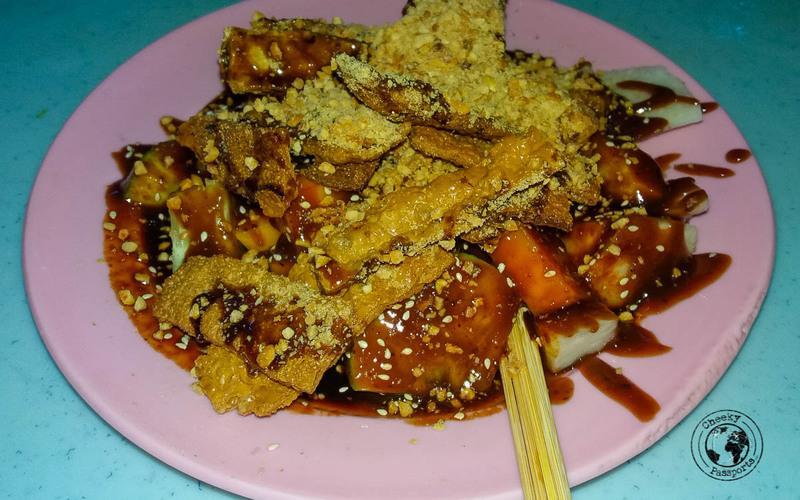 Rojak consists of a salad of raw vegetables and fruit topped with a tangy dressing, fried dough and crushed peanuts. We’re still not too sure whether we really enjoyed this food. We found the dressing to be rather over-powering in this particular dish so maybe we need to try a different version of it! 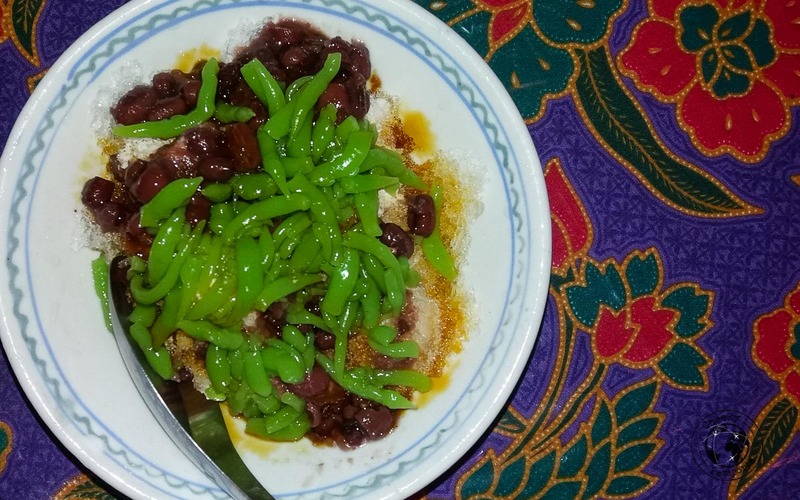 We’re not even sure how to describe this – shaved ice, palm sugar syrup, beans, coconut milk and a green noodle-like jelly (yes you did read all the ingredients correctly)! Sweet and filling and absolutely refreshing, this dish reminded us vaguely of Filipino halo-halo and like the Filipino sweet, it provides some much-needed coolness under the fiery Asian sun! Roti Canai was our item of choice for breakfast during our time in Malaysia. The flatbread is typically served with curry but we preferred the honey or sugar version with our morning coffees! Reading this article makes me want to jump on a plane to Malaysia. Such a paradise for Asian food lovers! Yes Lenise, we miss the food in Malaysia already! Truly some of the best dishes in South East Asia!